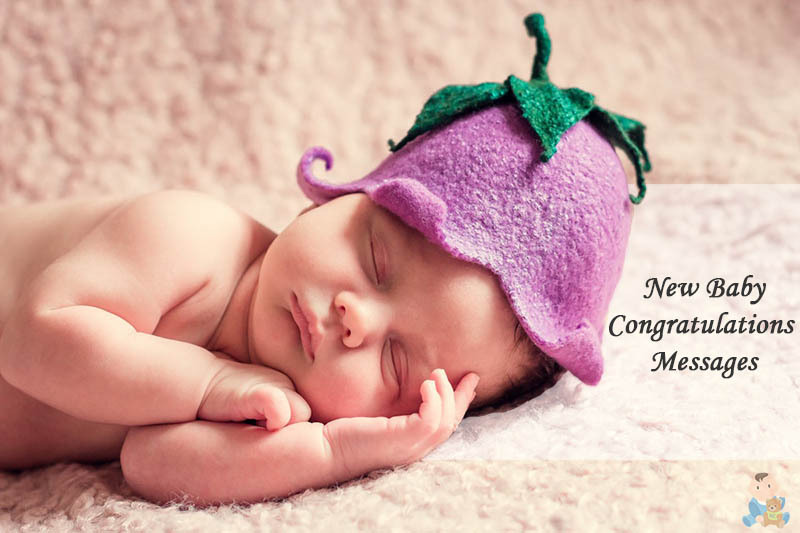 Looking for a new baby congratulations message or wondering how to congratulate someone on their new baby? 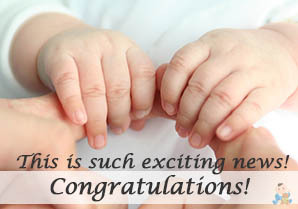 Here we have compiled an extensive list of new baby congratulations messages and quotes for you! Put aside those generic off the shelf cards and write something with a bit of flair. A newborn baby is a huge milestone in life, and the quotes should not only be cute but to also motivate and inspire the new family in that magical moment in time. 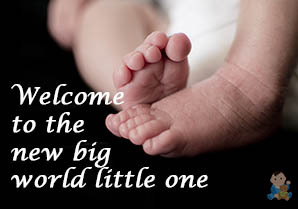 There are newborn baby boy quotes, newborn baby girl quotes and some funny new baby quotes at the end for you to make a beautiful and heart-warming welcome message for the baby shower or for ideas on what to write down on the congratulatory card. 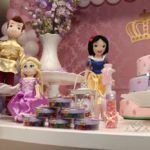 Whether the message goes out to your new nephew, niece, brother, sister, grandchild, friend’s baby, godchild, a baby boy or baby girl, these messages will reach the heart. 1. Congratulations! As new parents, may you be filled with joy and happiness with the arrival of your new baby [Boy / Girl]. Wishing your new family all the absolute best. 2. This is the start of something special, the next few years are going to be the most memorable. 3. Wishing your newborn and your family many years of good health, love, and happiness. 4. Congratulations! This is a beginning of something wonderful for your family. I hope that this journey is filled with lots of laughter, love and warm cuddles. 6. The most incredible journey and outlook about being parents is catching a glimpse of yourself in your newborn! 7. Welcome to the new big world little one, this is a place full of excitements and wonders. 8. Congratulations to Mama Bear and Papa Bear. Baby Bear seems just perfect! 10. WOW! This is incredible news!! It is great to hear that your new baby has arrived safe and sound. Enjoy your new role of proud parents. 11. Time to celebrate the safe arrival of your newest baby born!! May babyhood be filled with lots of love and memories. All the best! 12. Congratulations on your new role as proud parents of a happy and healthy baby [Boy / Girl]! We hope this is a marvelous time filled with lots of joy and happiness for your new family. 13. 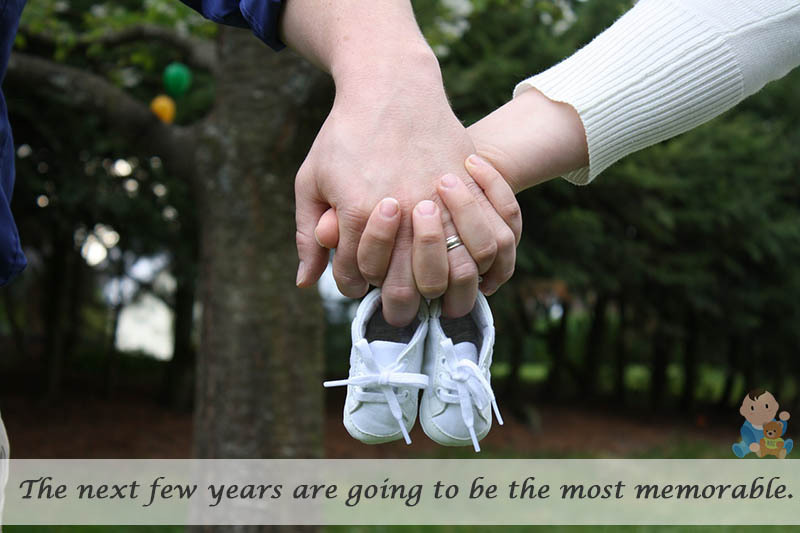 This is a beginning of something wonderful, your newborn will bring you memories to share. I hope everything goes well. If you need anything I’m always here for you. 15. This is such exciting news!! Congratulations on the new family addition. 16. As new parents, cherish this extraordinary time and may it be filled with lots of joyous memories. Just wait until they start speaking! 17. Congratulations!! 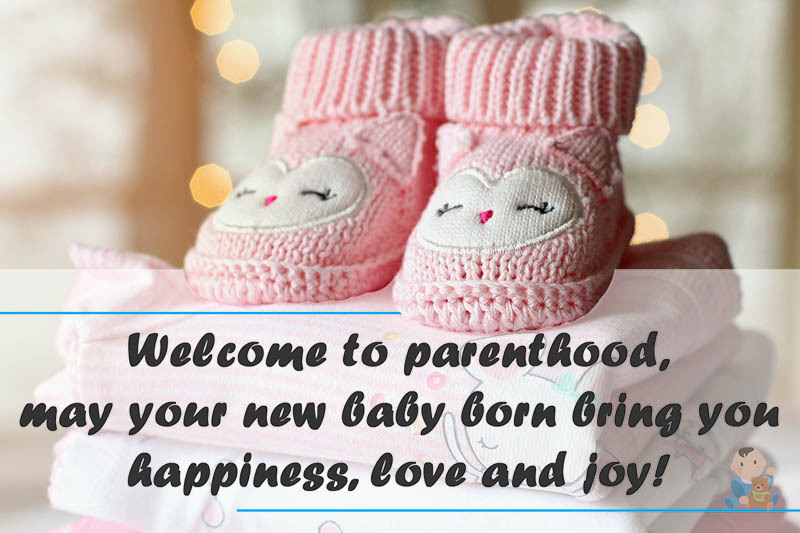 The parenthood journey has begun, may you be filled with much joy, delight, and happiness with the arrival of your new baby [Boy / Girl]. 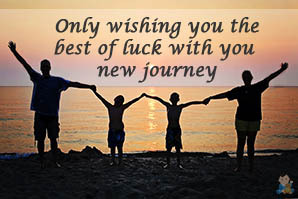 Wishing your new family all the very best and as always, please let me know if there’s any way I can help. 18. Congratulations on the arrival of your new happy and healthy baby! May you cherish this extraordinary time that only comes around once and may it make for lots of wonderful memories. All the best and with lots of love. 19. This is such brilliant news! Create amazing and long lasting memories. So excited to meet the little one once things settle down. if you need any help at all, you have my number. Lots of love! 20. We are thinking of you during this exciting moment in time, you will have sleepless nights and days. But I can tell you that it will definitely be worth it to see your Bubba smile. All the best and with lots of love. 21. Welcome to parenthood, may your new baby born bring you happiness, love and joy. 22. Parenthood is such a wonderful experience, lots of memories will be made. Wishing your family the very best. 23. It’s hard to say who is blessed more, you are for having a new baby, or it could be your baby having you as parents. Nevertheless congratulations! 24. I’m so happy for your newborn’s safe arrival, don’t forget to let me know if you need anything. Always happy to babysit so you can have a peaceful sleep or meal. 25. Wishing you both much joy and happiness with the safe arrival of your newest family member!! 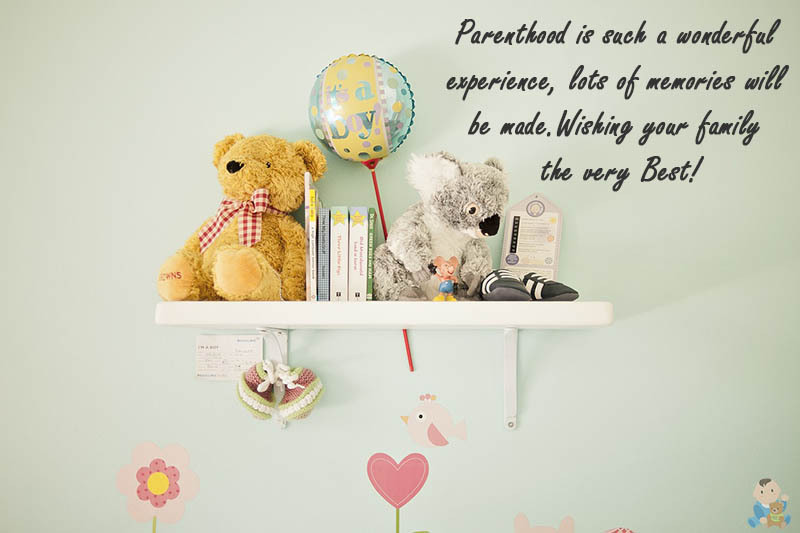 May you find babyhood and parenthood a wonderful and rewarding experience that is filled with lots of loving memories. All the very best during this moment in time. 26. Congratulations! Time will now fly pass so quickly as your little one grows up quickly! Cherish every minute. 27. Congrats! This is a rewarding experience part of your lifetime. 28. May your new little baby bring you a lifetime of happiness even at the toughest time. 29. This new change will be forever, I promise you it would be the better type of change. 30. Congratulations on the new baby, it’s always exciting to see who the baby looks like more and who traits they have inherited. Enjoy parenthood and create many memories. 31. Welcome to the new chapter of your life, this chapter is a beginning of something great! It will be filled with new potentials, new discoveries, and challenges. 32. Welcome to the world little [Prince / Princess], I hope your queen and king spoils you with riches. May your journey be filled with joy and love. 33. If the sun shines for a thousand years, it could never outshine the warmth and ecstatic joy I feel as I congratulate you on the birth of your son. 34. These baby steps will walk miles, littles ones to bigs. As parents you have big shoes to fill, you are the role model for your child. 35. Hello little one, welcome to the world! You have the best mummy and daddy anyone could wish for. You will have everlasting love and happiness. 36. Congratulation on your newborn [Son / Daughter], [He / She] will be soo cute. Such wonderful genetics they would inherit. 1. I hope you like the gift I gave you, I thought you might need a stronger perfume from all the nappy changing. 2. Hello yummy mummy goodbye tummy. 3. Dearest friend, I have planned a wonderful welcome home party for you. There will be a barbecue, cheese and the finest wine for me especially. 4. Life will only get harder I tell you, just wait until they start talking and walking. 5. I hope your newborn inherits only the best features, I can’t say the same for you. 6. You don’t have to stay up late accidentally anymore, I’m sure your baby will keep you wide awake. I hope you’ve been practicing your vocals. 7. Forget about spending time with the girls and boys, it’s not about you anymore. 8. I’ve put my number on speed dial on your phone just in case you want to get out of diaper changing. 9. I left a loving message inside one of the books I gave, it explains how they were born. No need to explain to them, I got you covered! 11. I hope you are blessed with a non-crying and obedient baby otherwise we are not having dinner together if you are bringing [Him / Her]. 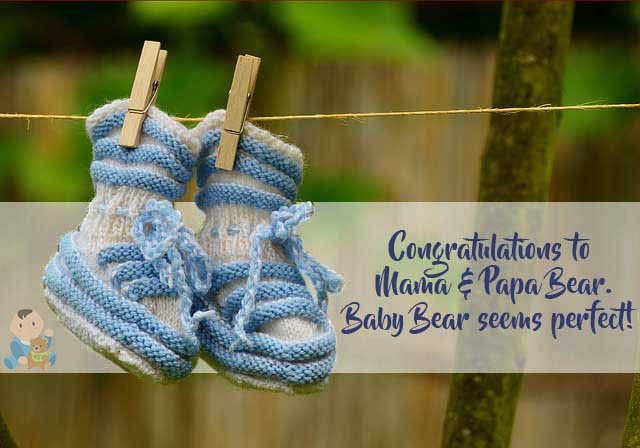 We hope these heart-warming new baby congratulations wishes suit your needs. A baby is the most gracious gift of great happiness and joy, so don’t be afraid to express your emotions, and congratulate the couple on the new arrival of a newborn to the family. Have any other wonderful quotes or messages? 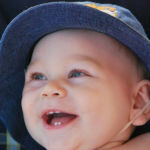 Has Your Baby Started Teething? Copyright © 2019 New Baby Congratulations. All Rights Reserved.